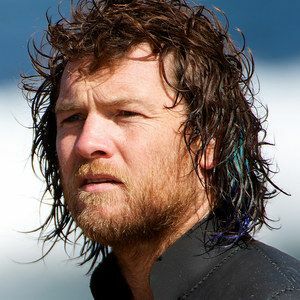 Sam Worthington, Xavier Samuel, and Myles Pollard are featured in our exclusive photos from the surfing drama Drift. Written and directed by Morgan O'Neill, and based on a true story, this drama takes us to the Australian coast in the 1970s, where the Kelly brothers built an innovative surf business out of their van. Take a look at these photos before Drift debuts on VOD formats July 2, and in theaters August 2. After their mother escapes from Sydney to Margaret River in the 1970's, the two Kelly brothers spend their youth searching for the perfect wave. Out of necessity the family launches a backyard surf business - re‐thinking board design, crafting homemade wetsuits and selling merchandise out of their van. Battling big waves, small town conservatism and criminals, the brothers give rise to a global brand. A story of passion, corruption, friendship and loyalty, deadly addictions and fractured relationships, Drift tells a tale of courage and the will to survive at all odds.